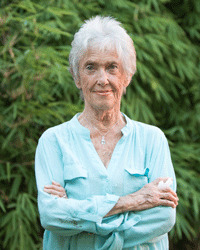 Joanna Macy, PhD is a scholar of Buddhism, systems theory and deep ecology. A respected voice in the movements for peace, justice and ecology, she gives trainings worldwide for eco-warriors and activists for global justice. As the root teacher of the Work That Reconnects , she has created a ground-breaking theoretical framework for personal and social change. Her books include World as Lover, World as Self and Coming Back to Life: Practices to Reconnect Our Lives, Our World.